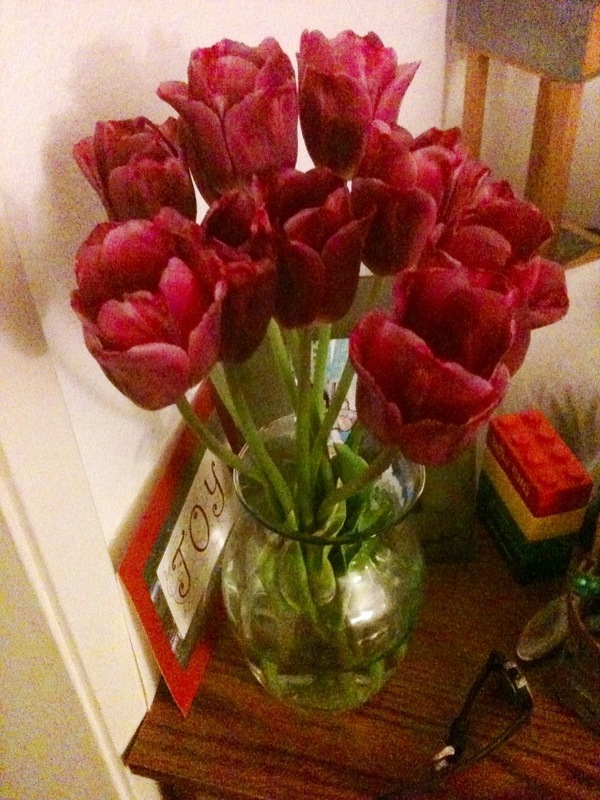 Rather bulbous tulips brightened up my month. Often, I’ve gotten philosophical, sometimes spiritual. Lately, I’ve become equally both, trying to wrap my mind around things going sideways and the homeland attack on Boston this month. So much is being thrown at us collectively that sooner or later we are knocked out of kilter and forced to return to the things that make us who we really are. For me, it was my penchant as a kid for daily prayer and later leaning on my strong support network of close family and friends and even the kindness of strangers. I am rereading a book my friend Carmen once gave me called “Conversations with God.” It reminded me about life choices and decisions and that if they aren’t the right ones, there is always an opportunity to choose again. Making that connection sharpened and clarified the path to take and mapped out the way to get through this month. It has changed and even humbled me to some degree, and in my purposeful journey, I am more than happy to bookend this month as simply glad to have survived.